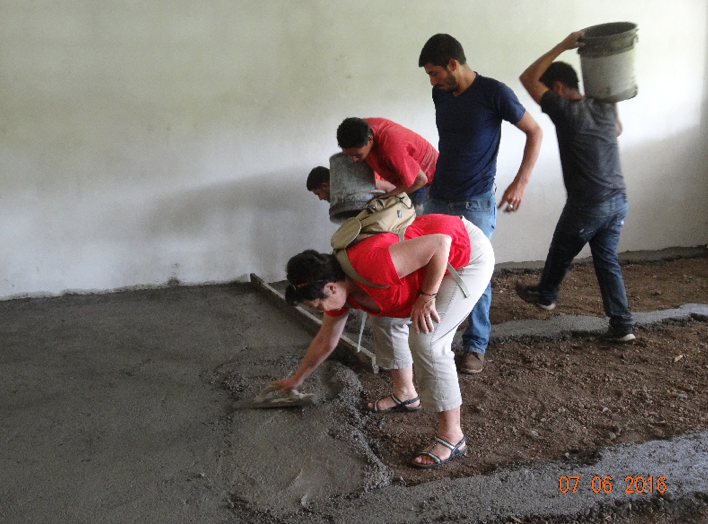 One of the last steps is the floor… cement is mixed in a puddle outside and then hauled in, bucket by bucket. The entire school was build with “people labor”. 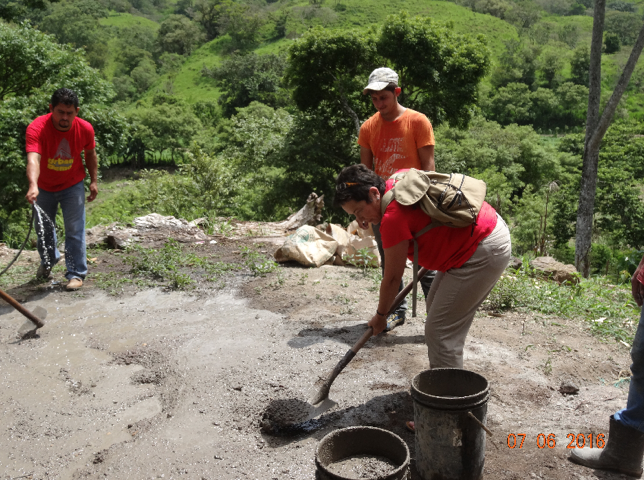 The 1600 blocks and bags of cement and all the other materials hauled in by the community folk, and every step of construction done by hand. 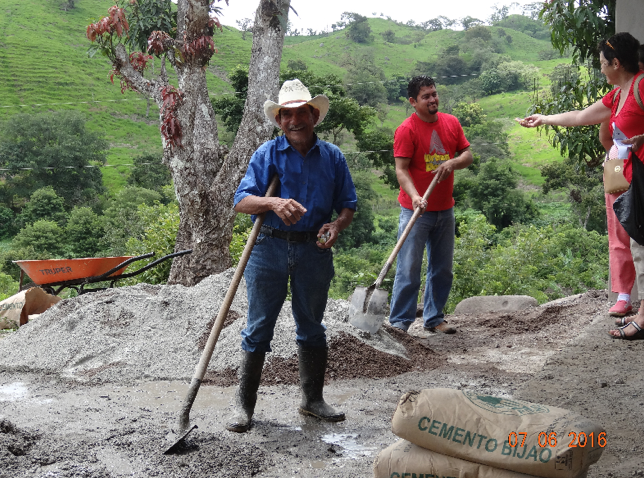 This fellow was in pretty much all the photos from the start of the school construction… hauling, building, shovelling. Here he is grinning cause I gave him TWO packages of cookies. This entry was posted on Tuesday, September 20th, 2016 at 7:53 am	and is filed under Copan Ruinas. You can follow any responses to this entry through the RSS 2.0 feed. You can leave a response, or trackback from your own site.